Woman Cleared in Attempted Kidnapping | Michael A. Ventrella, Esq. A Tobyhanna woman accused of trying to kidnap a child in an East Stroudsburg store last month was cleared of the charges on Tuesday. At her preliminary hearing, District Judge Robert Perfetti of East Stroudsburg dismissed attempted kidnapping charges against Romaine Hayden, 54, who claimed she simply pushed the wrong cart while shopping at Big Lots in East Stroudsburg on February 1, not noticing there was a child inside. Surrounded by local members of the National Association for the Advancement of Colored People (NAACP) and her family, Hayden strolled out of the court with a smile. Hayden says she has children of her own and has no desire for anyone else’s kids. Convinced that he had a strong case, Monroe County Assistant District Attorney Jacob Jividen said he will discuss re-filing charges against Hayden with District Attorney David Christine. Christine could not be reached for comment. After reading about her arrest, Tannersville attorney Michael Ventrella decided to take the case for free. He didn’t even need to make an argument to dismiss the case on Tuesday. After watching a surveillance video of the incident and listening to a few witnesses, Perfetti immediately dismissed the charges before Ventrella could present his argument. The video shows Rebecca D’Alauro strolling down an aisle, then stopping to look at a product on the bottom shelf. As D’Alauro kneeled down to look, her son sat in the cart behind her. The video shows Hayden coming into the picture and pushing D’Alauro’s cart. Within seconds, D’Alauro starts yelling and looking for the cart. D’Alauro said she began yelling at Hayden, then called her husband and police. D’Alauro wouldn’t comment on the case after the hearing. Jividen said Hayden told two different stories to police after the incident. SARP Patrol Officer John D. Miller said Hayden initially said she saw the baby was left unattended and planned on taking him to the front of the store for help. Schmidt said Hayden later told him she didn’t see the child until she heard his mother screaming for him. The Monroe County chapter of the National Association for the Advancement of Colored People publicly came out in support of a Tobyhanna woman Saturday, in response to the refiling of charges against her. Romaine Hayden, 54, was arrested in early February for allegedly attempting to kidnap a 4 month old baby at the Big Lots store in Eagles Glen Shopping Center in East Stroudsburg. The initial charge of kidnapping was then reduced to interference with the custody of a child – also a felony offense – but the charges were dismissed altogether, leading Hayden to believe she was free to go on with her life. She claimed she was not wearing her glasses and did not see the baby in the cart when she reached for it. All of Hayden’s activities that day were captured on the store’s video surveillance equipment. The tape was played at the hearing. Hayden’s attorney, Michael Ventrella, was present to answer questions about the case. “Refiling happens, but in this case, there is no reason for it other than for the district attorney to have another go at the case. They are claiming that the judge made an error of the law,” he said. 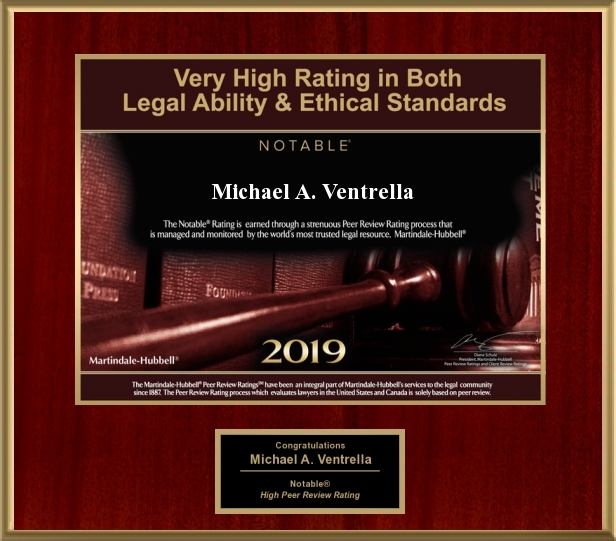 Ventrella accused the district attorney’s office of blatant judge shopping, claiming they were displeased with District Judge Robert Perfetti’s verdict so they are attempting to find a judge who will side with them. Judge President Ronald Vican will decide this week whether to allow the case to proceed, and whether a new judge will be assigned. “I expect Judge Vican to grant their motion,” Ventrella said. Local NAACP president Ron Yates said he feared for all people in what he deemed a civil rights violation. “If this can happen to Mrs. Hayden, it can happen to any one of us,” Yates said. Hayden, a Tobyhanna mother, suggested the district attorney’s office was on a “secret witch hunt” with her as the prime target. “I don’t know if I will ever have my freedom,” she said. Yates noted that Hayden is unable to drive herself and was actually with friends that day who provided transportation. “Why weren’t the other two people charged? It was a matter of seconds from when the child was taken until the child was returned. This is all over a matter of seconds,” he said. The practice of refiling generally occurs in instances when the more information becomes available after the original hearing. In this case, according to Ventrella, no additional information is being presented. “She has absolutely no record, but she would be looking at jail time if found guilty,” he said. Members of Heads Held High, a local government watchdog organization, were also at the rally to support Hayden. “We are hoping other groups who are interested in civil rights and justice will come forward and work with us as well, said Yates. For now, members will support Hayden through letter writing, faxing and e-mailing District Attorney David Christine’s office, but suggested more aggressive action will be taken if necessary. “We may need to go as far as demonstrating. We also need to let the district attorney know that we cannot support him being in office if he is treating people unfairly,” Yates said. If a person accepts a probationary period on a charge, it does not mean he or she is pleading guilty to that charge. So says Michael Ventrella, the attorney for Romaine Hayden, the Tobyhanna woman charged with trying to interfere with the custody of a child or “attempted kidnapping”. Hayden, 56, denied accusations that she tried to take a woman’s 4-month-old son last February at the Big Lots in East Stroudsburg’s Eagle Valley shopping center. Hayden said she is sight-impaired and mistakenly took Rebecca D’Alauro’s shopping cart with D’Alauro’s baby inside, thinking it was her own cart and not realizing there was a sleeping child in it. Hayden said she tried to return the cart once she realized her mistake, after D’Alauro had begun searching frantically for her son, but D’Alauro pressed charges. Hayden, who pleaded “not guilty” in Monroe County Court, decided to accept a six-month probationary period under the accelerated rehabilitative disposition ARD program. The program is an option open to defendants with no prior criminal records who want to avoid the expense, stress and public attention of a trial, Ventrella said. Basically, all she has to do is stay out of trouble for six months and the charge will be wiped from her record afterward. “Staying out of trouble shouldn’t be a problem for her since she’s never been in trouble before,” Ventrella said. “Entering into this program was a tough decision for Ms. Hayden, who wanted her day in court to prove her innocence. “We discussed the offer thoroughly and decided it was better to take the offer and get it over with,” he said. Ventrella said Hayden was hoping to keep the matter out of the news media because “being identified as the ‘baby kidnapper’ has caused her great pain, embarrassment and humiliation.” He described her as a very religious woman who has her own children and grandchildren and would never want to take anyone else’s. As for reportedly telling police she wanted to “teach D’Alauro a lesson” for leaving the baby unattended, Hayden said she never made any such statement, according to Ventrella. Hayden herself has declined to comment.